United Business News: On May 27th, Yonghui Group opened its 18th Yonghui O2O experience member store in Shanghai. This brand new model of supermarket has drawn a lot of attention in retail ever since the first Yonghui member store opened. The average Yonghui member store is about 200 square meters and sells ~1,000 different selected commodities which target high-end consumers. In addition to the traditional merchandise, Yonghui member stores also offer catering, housekeeping and many other services. Customers can cook directly with the ingredients sold in store and fully enjoy the fun of shopping. Fresh food accounts for ~25% of commodities, and will increase to 30% in the future; imports now account for ~40% and are expected to ~50%. Customers can also purchase global products offline in the store. As a new business model, the Yonghui store is a bold adaptation of Omni-channel retail. 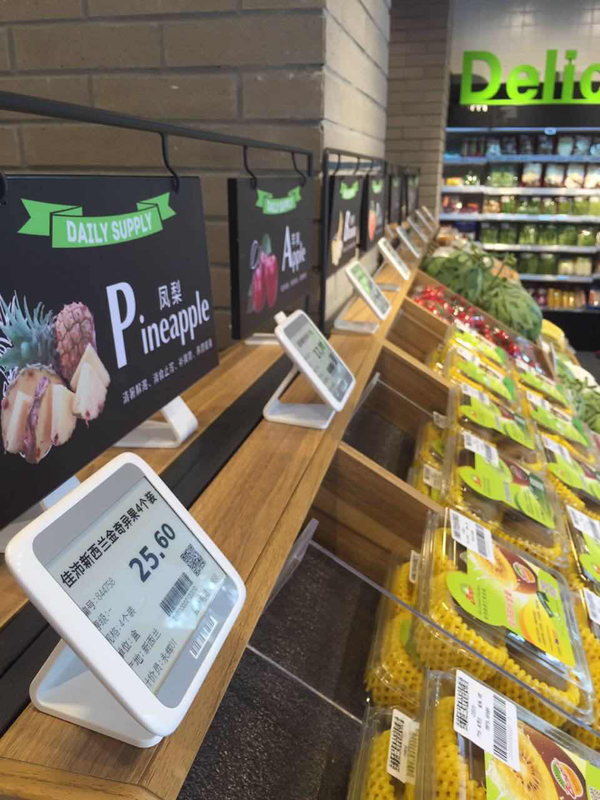 In order to meet the various needs in Omni-channel, Yonghui introduced Hanshow electronic shelf labels (ESL) into Yonghui O2O system. As the essential part of O2O, Hanshow ESL system connects and synchronizes online and offline data. By using the ESLs to synchronize online prices and stock information with offline prices and stock information in real time, it makes shelf management possible. Additionally, this improves the delivery efficiencies. The delivery staff can use the ESL system to locate and find products. The ESL system has made shelf management more precise and dynamic by allowing staff to locate the label position based on the layout map provided by headquarters and place commodities based on the information displayed on the ESL. The ESLs have a LED indicator that has three colours, and can be used to locate products or for promotional purposes to attract customers. For Yonghui group, the member store also plays a role as the station for picking up goods purchased online. The real potential in this O2O model is that the offline customers can be attracted to online and conversely online customers can be attracted to the store. Each Yonghui member store is a station for all kinds of door-to-door services in retail.